Description Scanned as B & W. Label taped on front: River Road (to right) Only Road on West side between Portland and Oregon City. Trees above road are on Morey Ranch now Glenmorrie). Walling House in distance. 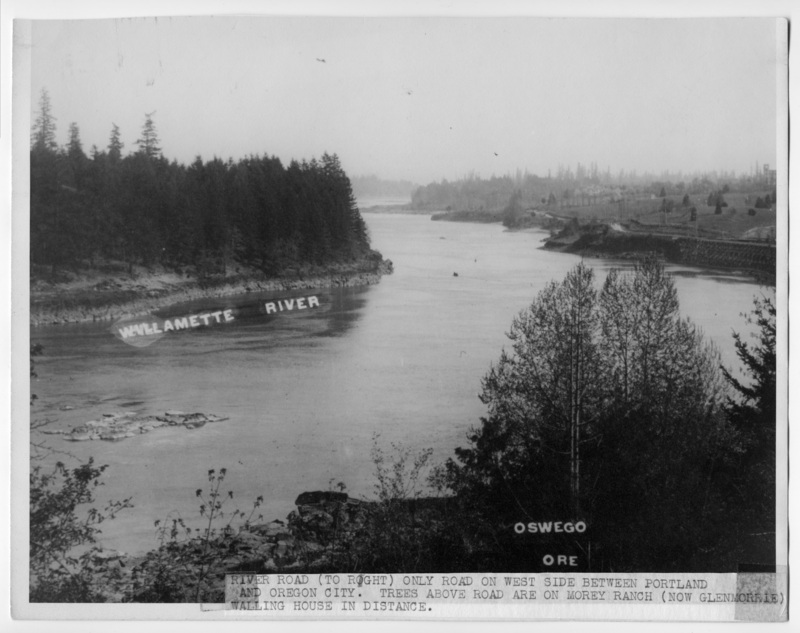 Printed on image: Willamette River; Oswego Ore.